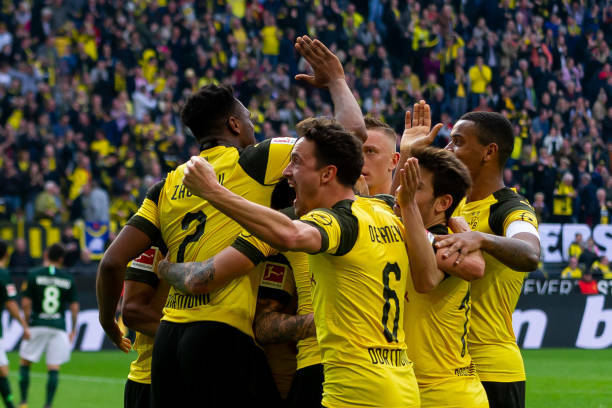 Borussia Dortmund moved atop the standings after beating Wolfsburg 2-0 while Freiburg held Bayern Munich 1-1 at the 27th round in Bundesliga on Saturday. 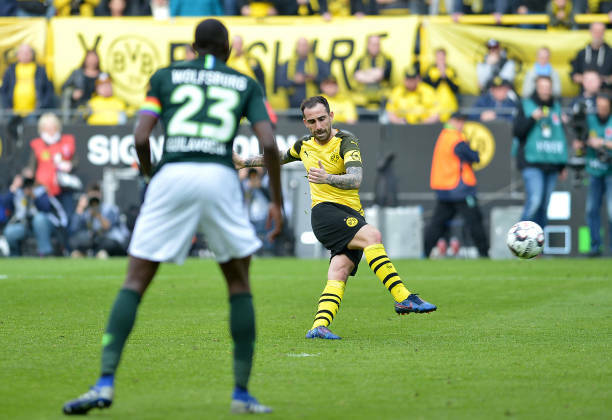 Dortmund took the control from the kickoff, but they needed 19 minutes to create their first chance against deep defending "Wolves" as Paco Alcacer pulled wide from promising position. As the match progressed, Wolfsburg gained a foothold into the game as Wout Weghorst tested Dortmund goalkeeper Roman Burki with a curl shot on target in the 28th minute. The hosts had to wait until the closing period when a free kick from Paco Alcacer broke the deadlock to shock Wolfsburg. The Spaniard remained in the thick of things as he doubled the advantage in the dying seconds of the game after tapping home Jadon Sancho's build-up work from inside the box. With the result, Dortmund recaptured the first place in the standings with a two-point advantage whereas Wolfsburg slipped to the 8th position. Bayern Munich gave away their lead in the standings as they played out a 1-1 stalemate with in-form Freiburg on the road. The hosts caught a fairy-tale start on home soil as Christian Gunter's delivery to the box found Lucas Holer, who nodded home the opener from seven meters to flabbergast the German record champions with three minutes into the clash. Bayern needed some time to recover from the setback but they eventually leveled the scores in the 22nd minute when Robert Lewandowski's scissor kick found the back of the net. Niko Kovac's men controlled the proceedings in the second half, yet they were unable to turn the tides as Freiburg's goalkeeper Alexander Schwolow was on guard to deny Jerome Boateng and James Rodriguez. The visitors should have grabbed the lead in the closing period but neither Lewandowski nor Leon Goretzka were able to slot past Scholow, who saved Freiburg's draw on home soil. With the result, Bayern slump to the second position and Freiburg descend to the 12th place. Elsewhere, Max Kruse's brace secured Werder Bremen a 3-1 victory over Mainz on home soil. Fortuna Dusseldorf shocked Borussia Monchengladbach 3-1 as two goals from Rouwen Hennings were enough to seal the deal. Bottom side Nuremberg ended their negative run after beating Augsburg 3-0 and Leipzig crushed Hertha Berlin 5-0.